Q Gourmet restaurants across Toronto, Montreal and New York have been serving up unconventional versions of the classic burger topped with unique ingredients such as truffle aioli and foie gras. What set this movement in motion? A The new generation of chefs is not only technically skilled but also understands the importance of having fun in the kitchen. The burger allows both creative combinations of sauces and toppings and the ability to use high-end items such as Kobe beef or ahi tuna in new and exciting ways. The popularity of street food, along with the fact that burgers are a chef’s favourite after-service snack, could be the driving force for this burger movement. Q- What are some new ingredients people are experimenting with when making and dressing a classic backyard burger? 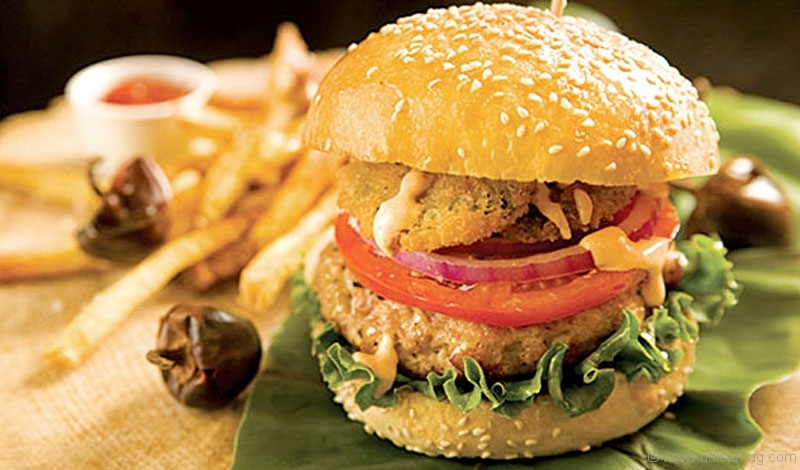 A- Besides the typical ingredients used in burgers there are healthier options such as tuna, salmon or vegetables. We can also go the route of the “greasy spoon.” In this case you can make two grilled cheese sandwiches and use them in place of regular buns. Then add your homemade patty along with caramelized onions, double smoked bacon, good quality pickles, lettuce and ripe tomatoes. Adding homemade condiments such as your own ketchup or BBQ sauce or combining ingredients such as Sriracha sauce and mayonnaise can really elevate your burger. in a stainless steel bowl. about 1/4 inch (use the bottom of a pot or frying pan). 3 Turn on grill to high heat and season with oil. 4 Grill on high to desired doneness; thinner patties cook faster and lose less moisture. Alternatively, you can use a griddle plate for maximum flavour. 1 Slice jalapenos, flour lightly then dip in egg wash and panko. 2 Fry in non-stick pan till golden. 3 Drain on paper towel and season with salt and pepper. Mix together the mayo and chipotle peppers. This can be made ahead of time and can last in the fridge for up to 2 weeks. Chef Cammalleri also designed a Swiss Bacon Mushroom Melt and Classic version for Dolce readers to enjoy. For recipes, visit www.dolcemag.com.